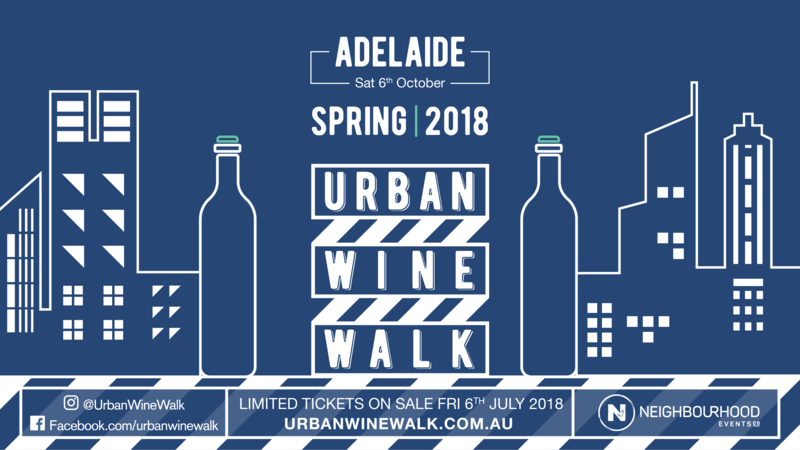 On Saturday the 6th of October the streets, laneways and footpaths of the Adelaide East End will come alive as a line up of cities best venues open their doors, transforming into the the ultimate self-guided cellar door experience. Promising another fresh, self-guided wine tasting experience, Urban Wine Walk is an afternoon out you and your friends won't want to miss! You'll enjoy unique experiences at a hand picked selection of local bars and restaurants whilst of course sampling wines from the best wine producers Australia has to offer! Event wristbands, tasting glasses, vouchers and event guides will need to be collected at one of the following locations prior to commencing the Urban Wine Walk. One of the best things about Urban Wine Walk is that it's self guided! That means you can go where you want, when you want!